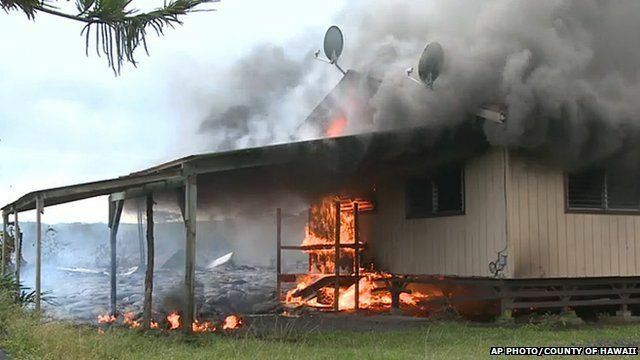 Lava flow from the Kilauea volcano on Hawaii's Big Island has destroyed its first house in the eastern village of Pahoa. It took about 45 minutes for the 1,100-square-foot home to burn down. A lava stream has been slowly creeping towards the village for months, giving residents plenty of time to evacuate.